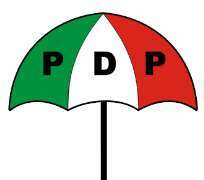 The Peoples Democratic Party has been enjoined ''to tread slowly in order not to render superior courts of records toothless'' in its current attempts to enforce disciplinary actions against the National Secretary of the Party, Prince Olagunsoye Oyinlola, Alhaji Abubakar Kawu Baraje, Dr. Sam Sam Jaja and Ambassador Ibrahim Kazaure, who have all been accused of violating some provisions of the PDP constitution. The four officials of the party have been arraigned before the Umaru Dikko led disciplinary committee of the Party. In a correspondence dated November 21, 2013, addressed and forwarded to the National Chairman of the PDP and signed by Mr. Awa Kalu, SAN, representing Oyinlola and others; the counsel informed the national chairman and the PDP that he had instructions of the four officials invited to appear before the disciplinary panel next Wednesday to act on to act on their behalf in the matter under reference. ''Our instruction is that notwithstanding pending litigations, the distinguished party of which you are the national chairman, intends to put machinery in motion aimed at making mockery of the Judicial process and thus the Rule of Law''. May we respectfully inform you that Suit No: FHC/ABJ/CS/774/13, (Prince Oyinlola and 3 Others vs PDP and Another) is presently pending in Court No 6 of the Federal High Court, Abuja Division''. In addition, there is a pending appeal at the Supreme Court arising from the Court of Appeal Suit No CA/A/84/2013 (Chief Adebayo Dayo & Another vs Prince Olagunsoye Oyinlola & 2 Others) in which the Court of Appeal in which the Court of Appeal dealt with the subject matter of your intended disciplinary proceedings''.